Is this that mount that looks like an orange Raven Lord? The name of the icon is ''achievement_boss_ji-kun''. 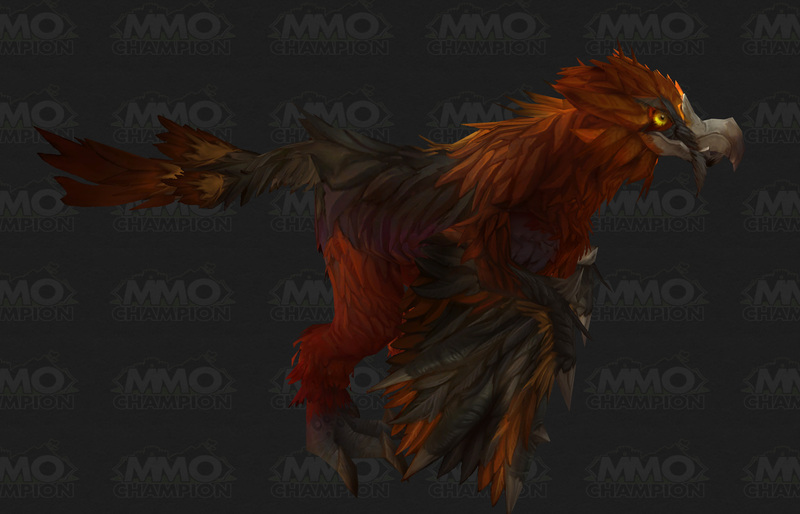 Personally I think this is the new raven lord-style mount or the new pheonix style mount if you look close into the icon and compare it to the model. What I find interesting is that it requires Exalted The August Celestials as does the new Reins of the Thundering Cobalt Cloud Serpent which is a World Boss drop. Click the icon: what does the name "achievement_boss_ji-kun" tell you? 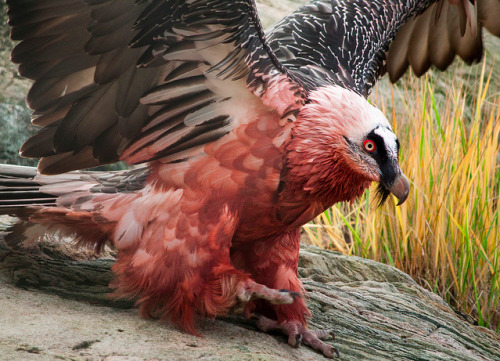 Ji-Kun seems to be going for an archaeopteryx theme, being an ancient-looking, semi-terrestrial bird, but its appearance draws heavily from Bearded Vultures. Rare drop from the boss Ji-Kun, dropped last night for our raid. Very low drop rate obviously but, oddly, the mount is NOT listed in the bosses loot table in the dungeon journal for some reason. Screenshot submitted with what it looks like. Shares the same skeleton as the pandaren phoenix you get from completing all challenge modes on silver. Similar to how the proto drakes and fire hawks share skeleton. Can this mount drop from LFR at all? I'm assuming this will never drop in LFR. In other words, unless you're a super power-raider who does ToT every week all year, or are just one lucky MF, expect to farm for this after MoP has passed. This loot dropped for our raid this week along with 2 other items from Ji-Kun's loot table. We killed the boss in 10 man normal Throne of Thunder. Just looted this 15 minutes ago, it dropped along with 1 conq token and 1 lether belt. I wonder if this is able to be looted with the Mogu coin.. I'm wondering if this mount is like the one from Horridon? And one of my friends told me all mounts and pets from the newest raids drops on all modes. Could anyone ensure that? Dropped on 10m Normal last night. The mount matches Ji-Kun or one of her children. The /mountspecial (when performed on the ground) is the mount arching its head back and opening its mouth like it's catching the food from the boss encounter. Just saw this tonight off normal 10man Ji-kun. It dropped off the boss and not a coin for my raid team. As previously stated it has the same skeleton as the challenge mode mounts and sounds exactly the same as well. On a side note, finally some raid leader love. I won this beast of a mount with an 87 and half the team rolling in the 80s. I received this mount yesterday on our weekly Ji-Kun 10HC kill, like other boss drop mounts it drops separately with the loot, not in place of one piece of loot, it will not drop on LFR, however it can drop on any of the following difficulties: 10N, 10HC, 25N and 25HC. Has anyone seen this drop from bonus roll from Mogu Rune, or is this strictly a normal drop only? This item will NOT drop in LFR. You will need to do this boss on either heroic or normal modes for it to drop. Since WoD, Horridon and Ji-Kun are now listed as loot in the Dungeon Journal. That means, they might be able to be obtainable with a bonus roll. This still needs to be confirmed but it is worth a try. 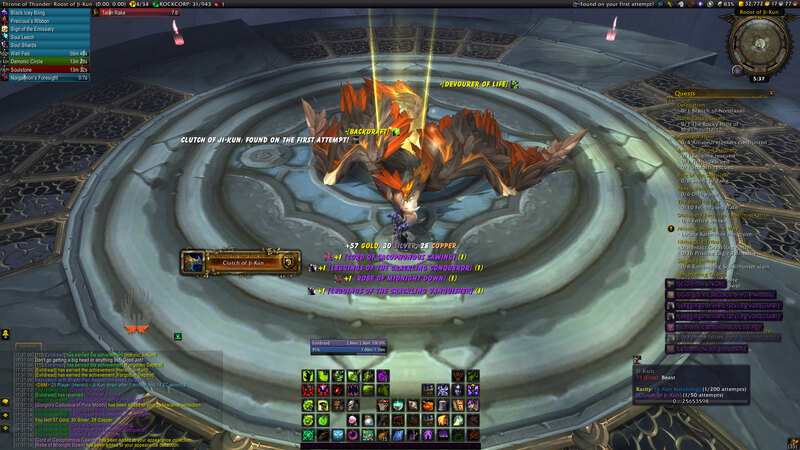 Killed solo on my newly dinged hunter, with 642 itemlevel, was a close one, first kill - first mount. Such irony provided I've been farming it for a year already on my other older characters. According to screenshots, this mount never claps its wings. edit: It's a joke people. Theres noway this mount is 1.75% drop chance :D 98th Attempt so far with no luck. How many engineers do you need for Clutch of Ji-Kun? Sorry,my bad .I know you are here for another reason! Just putting out some statistics, currently 306 kills across 12 chars with 2 pet drops and yet to see any mount. Ive been running this for about a month now. I clear the bosses leading up to Ji-Kun on my main and then use him as a mule with the LFG finder to share the lockout with my lesser geared alts. Doing 10man ive killed Ki-Kun about 65 times now. 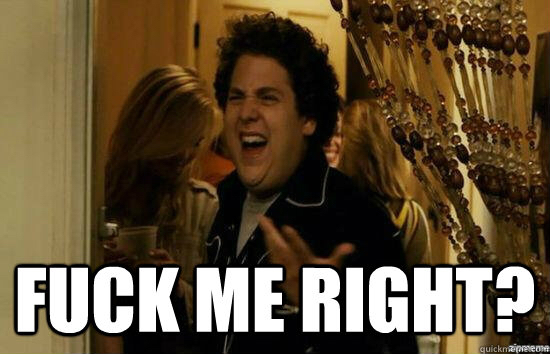 This morning i got the mount on my main after switching to 25man to close my weekly lockout loop. It does drop just keep working towards it. My most prized mount. I have finished the meta now but I was running 25 heroic with groups each week working towards the Glory of the Thundering Raider and it dropped. We were all shocked. I somehow beat 8 others on a roll which was a surprise to me as I never win anything on rolls. 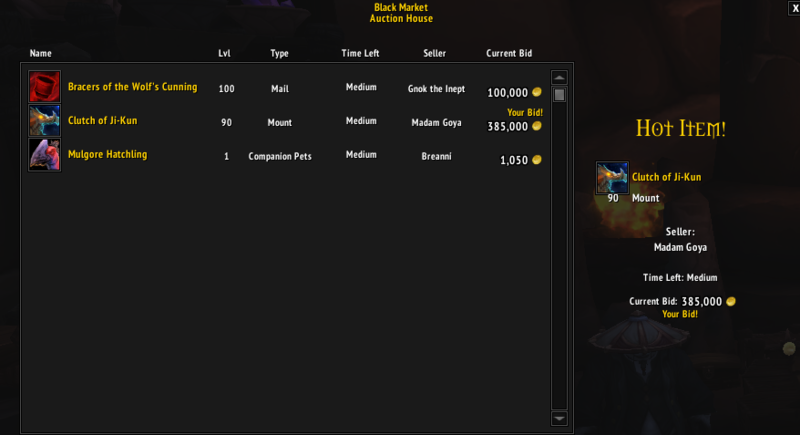 Sold today on Grim Batol for goldcap on bmah. Even though it's not a particularly good looking mount, collectors seem eager to get it and willing to pay for it. Just dropped this mount yesterday on my first attempt of Throne of thunder ever. So happy to get this. With the new expansion Legion out, the raid is now more easy to solo with classes possessing survivability skills. Highly recommend to farm this every week if able. Despite sharing the "skeleton" with Al'ar and the pandaren phoenix, this mount lacks their jumping animation if used in a zone with restricted flight. Got on 10H after a little over 70 runs. I have to say I own most of the rarest mounts in game but this one manages to standout with its beautiful plumage and goofy face. Got mine today at 10HC solorun, I literally dropped off my chair when I saw it on the loot table. 6th heroic kill and around 4 normal kills. Found out today that it is very possible to get this mount to drop on your first kill. Was on 25H. So I recently got Spawn of Horridon and decided I wanted to farm this mount for real. I thought someone might find it helpful to read about how I push my alts through this boss. I work under the assumption that Clutch of Ji-Kun is more likely to drop in Heroic than in Normal mode (some evidence for this being true). It is also possible that it is more likely to drop in 25 vs 10 man instances (not much evidence for this though). I am typically killing Ji-Kun on 10N for ilvl 715-800 toons, 10H for ilvl 801-850, and on 25H for ilvl 851+. So this is what I have been doing. 1. Move main toon and all alts outside of the raid entrance to TOT. Run TOT 10 man on my main. Kill all bosses up to and including Megaera. 3. Log out and in to another character that will complete the instance in 10N or 10H and sign up to the group. 4. Accept the invitation, enter the instance, accept the lockout and wait 1.5minutes until you become leader of the group. You can proceed during this time towards Ji-Kun. If you plan to change the instance to Heroic though, try not to engage any mobs as it will delay the switch. Remember, Gastropod can one shot you! 5. Once you become lead, delist your group and kick the character with the original lockout. If you plan to kill Ji-Kun in Heroic, make sure to set instance at this time to Heroic and accept the lockout. 6. Run past any remaining mobs and get to the ledge that takes you to Ji-Kun. You do not have to kill these mobs, as they will deaggro when you get to the boss. Feel free to kill them though if you still are looking to obtain Gastropod Shell. 7. Kill Ji-Kun and hope. Repeat again starting at step 2. 8. Once all toons that are completing instance in 10 man have been expended, log back onto your main, exit the instance, and set raid to 25 man (Normal). Reset instance and reenter. 9. You can now continue at step 2 for 25 man mode. All bosses of ToT are soloable currently in Legion 7.2.5. Easily did all of them in 25 Heroic mode on a 910 Frost DK(Ra-den included), though might be harder on some fresh 110s. I swear to Buda i got Clutch of Ji-Kun and Spawn of Horridon on the same run. Kinda disappointed with Spawn of Horridon, was expecting more, but, im in love with the Ji-kun mount. So classy. Got mine on the 8th Feb 2018. Took 354 runs, almost thought I'd never see it. It dropped on H25 but I've been doing it on various difficulties, mostly N25. Obtained on my 31st attempt (on 25 Normal). I'm thrilled! Apparently, the pets have a lower droprate than the mounts in this raid. I've managed to get this mount drop twice so far while I'm still missing the ji-kun and son of animus pets. 70-80 attempts so far. Apparently, reading from the comments I got super lucky! It dropped on my first and single attempt at ToH. Google translate has Ji-kun down as "difficult" in Chinese. Personally I think it just means chicken. I got mine after 2 attempts on 25H. Nothing is impossible through or lord and savior Thrall. Just got Horridon and Clutch of Ji-kun on the same run... Total of 10ish runs on ToT. "Although Ji-Kun feasted on the failed creations of mogu flesh-shapers, her progeny is willing to eat more pedestrian carcasses."